There can be times when all the data stored in your Android phone is lost or deleted mistakenly. Well, surely, this can be quite a frustrating situation because you may have lost very significant messages or contacts, photos, videos or other relevant files. So, what would you do if you come to face something like this? Don’t panic, as there are a number of ways that can help you to get back the lost data from your Android phone. Most people think that they can’t recover the lost information from their mobile phone ever. But it’s not true at all. Actually, Android smartphones are designed in such a way that it keeps the deleted files on the system memory. However, they might get lost forever if you still use your phone despite the data loss. Because, the new data will gradually overwrite the old ones and due to that, it’ll become impossible to recover the old information properly. So, it is best if you do not use your Android phone after the data is removed. In this blog, we are going to learn the procedures that you can use to retrieve the lost information from your Android smartphone. Go through this post carefully and follow the instructions as mentioned. Still, if the problem doesn’t get fixed, then there is nothing to worry. Contact reliable experts who provide the best Data Recovery Services in Dubai and get back all of your erased data in no time. Where were the Lost Files in Your Android Phone Stored? Before we move on to the solutions of data loss in Android mobile, we need to know where the files were stored in the first place before the accidental deletion occurred. Generally, Android phones store files in two ways i.e. Internal memory and External memory. The external memory is referred to as the SD card. This is the hard drive of your smartphone which can’t be removed. It comes with a great storage capability of hosting many data including music files, applications, videos, pictures etc. The storage capacity differs from device to device and you can check that by tapping on Setting> Storage. As we mentioned previously, the external memory is related to the use of an SD card on your Android phone. It provides extra storage capacity to your device that makes it possible to store more number of photos, media files, documents, videos etc. To check the external storage capacity, you need to go to Settings> Storage and move to the bottom to see the SD card option. Why is it Possible to Recover Lost or Deleted Files from Android? This is possible because when the files on your Android phone are deleted or removed, it doesn’t completely get erased from the device. Some part of those files still remain in the mobile’s internal memory from which you can recover them using data recovery services or tools. There is a very simple reason for which these files are not entirely erased from your phone’s memory. It is not that difficult for your Android device to remove the files pointer and get a free space. Well, in case of overwriting the data, it can be quite difficult for the device and also time-consuming at the same time. That’s the reason due to which your Android phone goes for easy and fast deletion of the file’s pointer rather than completely erasing the file. For completely deleting a file from your device’s internal memory, you can use a file-shredding software available in the market. But the good news is that though you might have accidentally deleted data from your Android phone, you can get them back using the right tool. You should save the new files and information on your phone as early as possible while you notice that some of your files are missing from the storage. This will make it sure that no overwriting occurs on your device. At first, you need to download and install the recovery software on your computer. When the installation is over, launch the tool by double-clicking on the app icon. Then, select “Recover from all the functions” and connect your Android phone to your computer via USB cable. Then, you’ll have to choose the file types that you want to retrieve back for scanning. Suppose if you have lost photos, then check the box against “Photos” and click “Next” to continue. There will be a pop-up on your desktop screen asking you to select a scanning mode. There are two modes, namely Standard and Advanced. Well, both the modes will scan for deleted and existing files on your Android phone. You can choose the Advanced scan if you wish for a deeper scan on your phone’s memory. One thing is that it will require more time than Standard scan. Just click “Start” to continue. The recovery software will start scanning your device looking for the deleted files. And, it’ll display all the files including the current ones also on your computer screen. You can enable the option “Only Display deleted items” to see only the lost files on your device. From this list, you can select those files that you wish to recover back and then click “Recover”. How to Recover Data from Android Phone without Using PC? Download the data recovery application on your Android device. Install it and then launch the application. In case your phone is not rooted, the app will remind you to root your device. Again, if your device is rooted but you have rejected the app’s superuser rights, then it’ll remind you to allow the rights. When the rights are obtained successfully on your device, the home view will display on your screen. From here, you can select the files you want to recover. When you’ve selected all the files on your device, click “Recover File” to recover all the deleted files from your phone. Next, select the certain data types. It will automatically start analyzing your phone’s memory. After it is done, tap on “Scan Device” to begin the scanning of the files and it will show those items which can be recovered from your device. You can stop the process anytime you wish. When the scanning is complete, you can select the files you want to restore and click the option on top to save those files in the external memory i.e. SD card. Then, you can check the files that you saved by clicking on the pop-up “View the result” on the mobile screen. 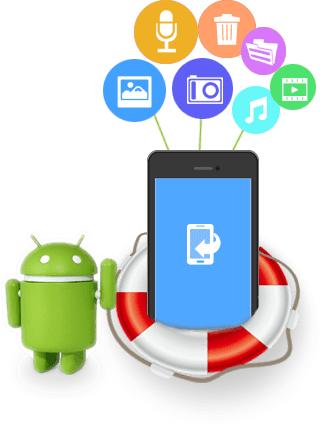 Hence, using the above procedures, one can easily bring back their lost data from their Android phone or other devices. However, if the methods don’t help you out or you feel they are tough to execute, then don’t lose hope. Get the best Data Recovery in Dubai and restore all the lost information without any difficulty. How can I recover my pictures from Android? Go to the Google Photos app on your Android device. Tap on the Menu Trash on the top left. Tap and hold the photos or videos that you need to restore. Then, tap Restore at the bottom. Those selected files will be back in the “Photo” section on your device. Which is the best free Android data recovery software? How do I recover files from my phone storage? Launch a suitable tool after downloading and installing it. Check the option “Enable Deep Scan”. It will help to find the lost files from your phone memory. Then, click “Start” to scan the disk. When the scan is over, select the files and recover them by clicking the “Recover” button. How do I get my deleted photos back on my Samsung? Go to Settings on your Samsung device. Scroll down and click on Cloud and accounts. It is almost near the bottom of the page. Next, scroll down and select the photos. At last, tap Restore Now to finish.